October 25, 2012 (Updated Jul 9, 2016) by Sean Slevin — Intended Audience: General. I recently had the pleasure of watching Tim Burton’s Alice in Wonderland1 and was reflecting afterwards on how some of the themes (especially of finding oneself or becoming more oneself, and the strength that comes from such growth) relate to the counseling that I enjoy (both as a counselor, in helping others walk out their journey, and in my own counseling as a client walking out my growth journey). I very much enjoy metaphors, word pictures, etc. 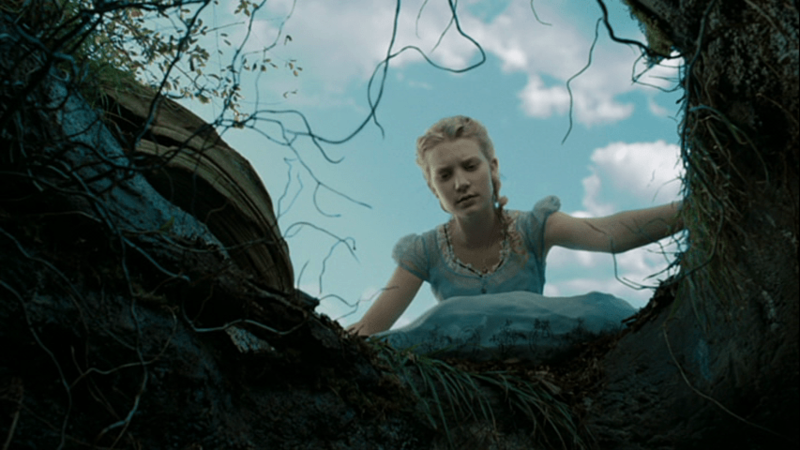 and thus I find the journey that Alice goes on to be such an interesting metaphor for the kind of growth processes we all are in the midst of at various points in our lives. Without giving away too much of the movie (and the point of this post isn’t to be a movie review anyway), Alice begins her journey having various nagging questions about herself that in many ways boil down to an uncertainty about who she is or even who she would wish to grow into. More constructively, however (both for Alice and for real life), are interactions with those whom know us well enough to sometimes challenge us, but are safe and caring enough do to that in a way that we experience as being known, accepted and supported. In the movie the Mad Hatter plays this role with Alice. At one point he says to her: “You’ve lost your muchness.” And by that he meant that she didn’t seem as much herself as she did when he had known her previously. To translate this into a less fantastical setting: We all need people in our lives who can kindly invite us to consider if what we’re doing really is in sync with who we are deep down. We all are continually in the process of either growing in knowing and hearing ourselves, or becoming more stuck in a place of tuning ourselves out. There are circumstances and seasons of life where it can be easier or harder to grow in becoming more oneself, and we all will go through some amount of fluctuations between the two. And that is why it is so important to have those key people in our life (friends, family, mentors, a counselor) whom can “go down the rabbit hole” with us, be with us there, walk with us, and in so doing help us get to know ourselves better. Sometimes we can use the phrase “down the rabbit hole” in a negative way (e.g., to connote going a little crazy, etc. ), and there is a degree to which the journey of continually getting to know yourself (trying to find yourself, if you will) can have difficult and scary seasons. We can be afraid of what we will find “down there”, and more importantly be afraid of if others really will stand by us anyway. But just like in the movie, we don’t need to spend all our time down the rabbit hole, and the fruit of periodically making the journey down and back out again yields a deeper connection to oneself and others, and a delightful inner strength that flows from those connections. I hope that you have people in your life that delight in making that journey with you and in seeing you become more yourself.